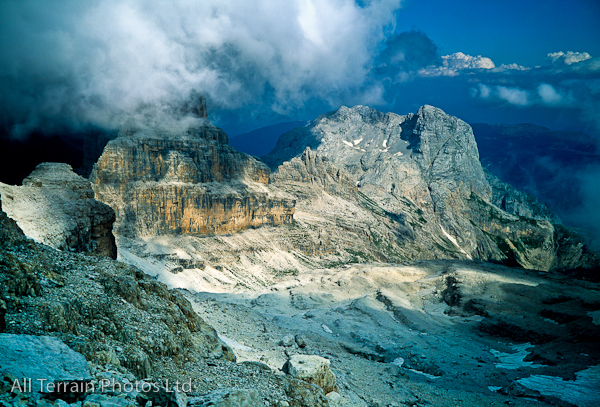 A few years ago, I went to the Dolomites, the Italian part of the Alps, to do some via ferrata and trekking. We had just descended form a glacier and were traversing along the mountain line, before dropping down into the valley below. Even though it was mid summer, there was still snow on the ground in places. If I recall correctly, I think we were around 3000m altitude. We stayed in a large refugio a did day long treks. One key memory I have of this trip was that I did not know any of the group and spent much of the days lost in deep thought. Where better to have an euphony?